and is PERFECT for Earth Day later this month! Curious Critters: Marine features some of North America’s most incredible marine animals captured through the award-winning photography of David FitzSimmons. 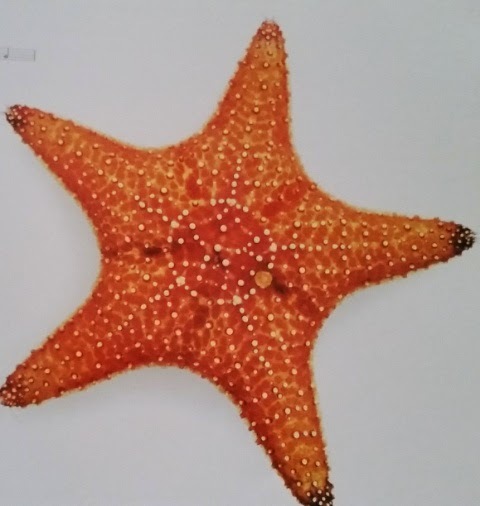 The amazing photographs depict 20 common and fascinating animals of the Atlantic and Pacific Oceans, as well as the Gulf of Mexico. 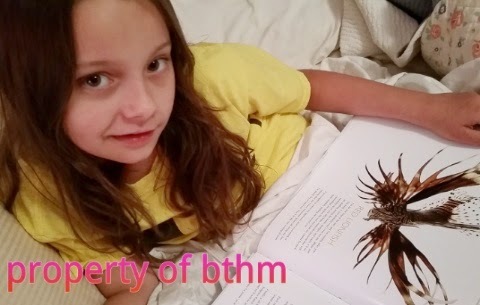 The subjects include a sleek black sea bass, a giant Pacific octopus, an incredible roseate spoonbill, and a one-in-a-million blue lobster, plus many more amazing creatures found along the coasts of the United States, Canada, and Mexico. 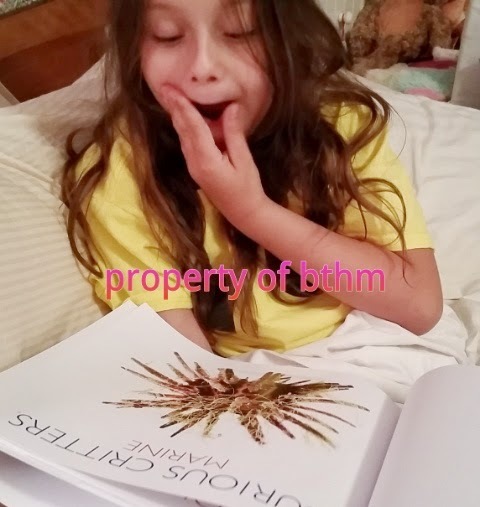 Fun and educational narratives accompanying each animal highlight fascinating natural history information, and a visual index, additional curious critter facts, silhouettes showing animal sizes, and a full glossary are also included. 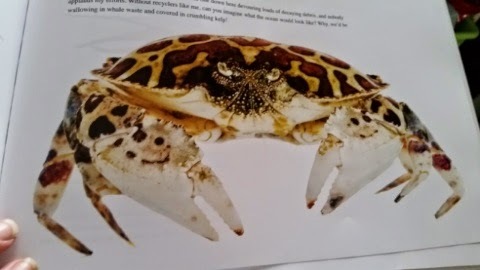 A crabby calico crab bemoans his thankless role as a detritivore: “I’m the one down here devouring loads of decaying debris, and nobody applauds my efforts. Without recyclers like me, can you imagine what the ocean would look like? Why, we’d be wallowing in whale waste and covered in crumbling kelp. Course Miss Grace, being a Southern girl, had to ask- "Can we eat him?". It took some internet surfing to verify, yes you can, but better to let them be nature's garbage man! The Pencil Urchin freaked her out everytime she looked at it- it looks like a SPIDER! 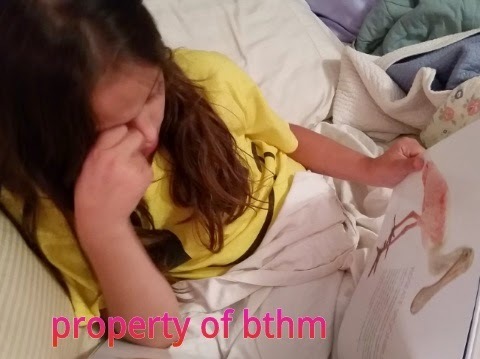 She adored being able to READ the whole book by herself, just needing help on bigger words. Did you hear my hallalauh of joy? Anything that gets her reading out loud willing is an A+ in my book! She laughed herself silly over the Roseate Spoonbill and how he gets pinker! I was getting a lecture her- she had to tell me all about the Red Lionfish! This third book in the Curious Critters series, is being released on April 22, Earth Day! But we highly recommend getting books 1 and 2 and adding them to your kid's Easter baskets! They are books that that keep on giving with their fun text, amazing photos and great tidbits! You'll want them all on your resource shelf! Be sure to check out the Curious Critters website for coloring pages, word games, silhouette games and more, to add to your kids' experiences with the books! There are also teacher guides, to help using the books to meet different science protocols! You can also see new pictures, before they make it into the next book! So no foolin', check out these great books, and put this one on the wish list for Summer adventure! titles. Forthcoming is Salamander Dance (Spring 2016), a children’s picture book exploring the annual life cycle of vernal pools, and the first two board books, Curious Critter Ohio and Curious Critters Michigan. 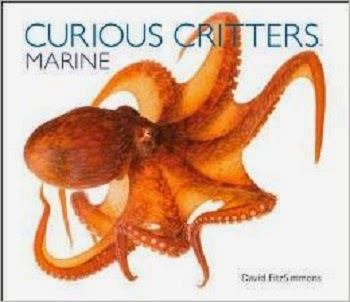 My son loves marine animals I'll have to look for this book. This looks like a terrific colorful book with super illustrations for children. Enjoyable and educational as well.